Looking for alternatives to FutureLearn? Tons of people want Online Course Providers software. What's difficult is finding out whether or not the software you choose is right for you. "The LinkedIn Learning program is the best online. : .LinkedIn Learning I liked it because it is a good online computer program that through it, I have done different distance courses with learning and preparation on a personal level and I work for its variety of free and paid courses, with people studied in their field. trained in the subject they are dealing with, provides a good knowledge that helps to improve the quality of life of each person or audience that will be projected as a goal of improvement. " Udemy is a marketplace for online learning, offering people everywhere the opportunity to advance their careers, change professions, develop their personal passions or simply learn something new. "unique experience in learning new working techniques : I like Udemy very much in all aspects, it is an excellent learning platform, with highly trained teachers in each of the areas where they offer their courses, in addition the videos and support material are of excellent quality. One of the things I like the most is the chat that provides you the platform where you can talk to teachers and clarify doubts and also interact with other students. The prices when you compare them with other platforms are quite accessible. On the other hand the interface is very easy to use and you can get courses in almost any area you are looking for. " "Great Tool for Basic to Moderately Advanced Learning of Many Subjects: Sal goes through many examples at a nice pace for the math and science courses I have used to review concepts. He is very detailed without overwhelming the user with new information." Coursera provides universal access to the world's best education, partnering with top universities and organizations to offer courses for anyone to take, for free. "Excellent for Lifelong Learning: This is a powerful site to learn more about or learn about topics of interest. The great thing is that there are so many topics to grow more understanding or learn about for the first time. The courses are provided by top notch institutions and teachers. The institutions include Ivy League and other high-level colleges and universities. Be prepared to do some work and learn a lot. " Delivering binge-worthy learning (TM) to train IT professionals in every stage of their career. ITProTV provides an extensive library of online video courses for both corporate teams and individual learners. "Excellent learning platform for IT professionals: The myriad of information on their website can cater to nearly anything I need to learn for my job specific tasks as well as overall career progression. Need to learn about something specific (like IAM) for an AWS deployment, it's there. want a certification in AWS to further your career? It's there. The amount of topics included really are staggering, Apple, AWS, Cisco, CompTIA, GIAC, and more. There's not much that I'm interested in from the perspective of a security practitioner that I could ask for more of." Codecademy is a team of hackers working hard to build a better way for anyone to teach, and learn, how to code. "The best platform to learn programming and check your progress straight away: Codecademy explains so well the principles of programming that even a beginner will understand without any problem. For me the best thing is that the screen is devided into three parts: 1. theory that your need to read 2. in the middle of the screen there is a part where you do coding 3. on the left from coding part you see the final result of your coding, let´s say - what would appear on the screen if you write a certain code. 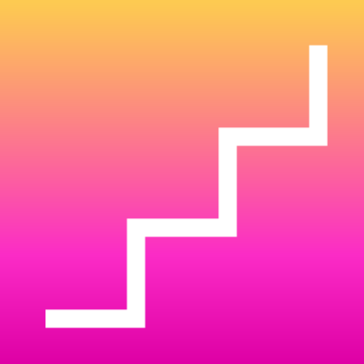 The platform checks in real time wether you did the programming exercise well or not. They also provide hints to exercises and a correct solution in case you are stuck. All the lessons are divided into small steps, which is handy for learning. And these all in a free subscription option. Might you want more lessons and exercises - PRO is also very affordable, 19,99 dollars per month, it is worth it"
HubSpot Academy is the worldwide leader in inbound marketing, sales and customer service training. "Good Place to develop your knowledge! : ability to learn more about sales, marketing and even some basic pointers with regards to design. All certificate based so you ensure you actually are learning. " iHASCO eLearning is an online training platform for Health & Safety, HR and Compliance Training. "it really opened my eyes to what i am experiencing. very good: I liked the way in which it was very well laid out with emphasis on the common issues , it was nice and short which kept my attention and it gave me something to relate to, the possibility of saving the additional materials and supporting documents is a big bonus which is rarely available in my experience of online training courses, a really well laid out interface that remembers where I left off and is easy to return and re watch where I want to hear the detail and concentrate or focus. the ability to access and download all of my previous certification from the dashboard is nice as paper or email to management only leaves me with another task in a very hectic day already. " EdX offers interactive online classes and MOOCs from the world's best universities, colleges and organizations. "edX Gets You There: It is an incredible online learning platform where you can learn virtually anything. It is really easy to enroll and register for courses. You can easily take the courses at your own pace and make improvements at your own speed. They have free courses which you can learn for free and only pay for certifications. It is unique and easy to use. They also have a strong user community on top of that. I love using edx"
Udacity provides online courses & credentials, built by AT&T, Google, etc. to teach skills that industry employers need today. "Very good platform to learn but very hard to contact instructors and reviewers: Content and challenges are really good. It takes good amount of time to learn and then implement in the project. " "Acclaimed Structured Training Program : A structure program that is grounded in basic customer service soft skills. Often veteran agents need a refresher course to help them emphasize the positives and eliminate some of the old baggage they have acquired over time. Nancy Friedman is extra icing on the cake as many of us remember her as the providing some of the basic fundamentals for Customer Service." Dataquest teaches data science online, using python, and helps users learn data science by working with real datasets. "Easy, Fun, Comprehensive: The lessons are organized in the perfect way for me—a track broken down into classes broken down into modules. It's easy to complete many in one sitting, or just work on one or two if you only have a few moments. 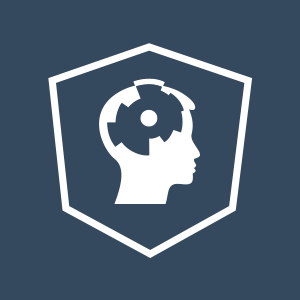 I've taken a lot of online programming/data science courses and I feel like this one stands out because it presents information at the right level. Additionally, the quality of the writing and teaching in the lessons is very good. The content creators seem to be trying to put themselves in the shoes of a novice, and to break things down for somebody without prior knowledge. This also distinguishes the course from others! The progress reports I get in email are very nice and encouraging." DataCamp is an online learning platform that provides courses teaching everything about data science. "One of the best platform to learn Data Science or Data Analysis: The best thing is their concept to teach us. First they explain the concepts through the video and examples and then they provide us some small exercises to complete. Later for every course they provide exercise on real life project. There are many real life projects available along with very supportive Slack community." Look over their shoulder and watch them build a multi-million dollar Primavera P6 schedule from start to finish. Then follow their step-by-step training so you can do the same. "Best Place To Learn Primavera P6! : I enjoyed everything about Plan Academy! The Primavera P6 Professional course content is very detailed and well put together and the instructors are very knowledgeable about the software. There is also a wonderful and friendly community to assist you in any problems you may encounter using the P6 software and your problems are usually resolved quickly. Add to that some free helpful resources such as eBooks, discounts on other scheduling software as well as regular interactive and informative webinars...Plan Academy offers value for money." Data-driven marketing training programs for people who want to be top 1%. "Digital Analytics Program: The CXL Institute Digital Analytics Program is an amazing course of over 130 hours of instruction by very knowledgeable and sharing experts in our field. I especially enjoyed the advanced classes with Yehoshua Coren and Simo Ahava. The courses seemed geared more for marketing, but I very much enjoyed trudging off into the developer weeds with Simo, a lot. I was not able to take the Live Course but was happy to learn I could take the self-paced course anytime. I was able to do all the ancillary reading, exercises, and studies and complete the course. Many of the videos have been transcribed and the classes also come with a copy of the Chat transcript. All of this was very helpful to consume the information. The CXL staff is very helpful and just a chat away when you need help or have a question. " Envato Tuts+ has video courses and free how-to tutorials that help you learn creative and technical skills. Build an app, create a website, or learn a new skill. "Awesome stock tutorials for the tech newbie: It's very practical and straight to the point. You can find a how-to video on basically everything you need, and for the tech beginner like me, it's really helpful. Having a handbook full of white label tutorials that you can also implement on your company as your own is one of the best perks EnvatoTuts offers to its users." Code School is an online learning destination for developers that teaches through entertaining content. "Excellent Experienced Based Learning: I love that as you work through the courses there are min-tests. You need to past the test to move on. If you do not pass the test after 2 attempts you need to re do the modules. I also like that throughout the course there are sims where you actually do the work. It is not just Nuggets where you watch and move on. You actually need to work your way through the courses. I also love the team dashboard so that if you have a work account you can challenge each other and hold each other accountable." 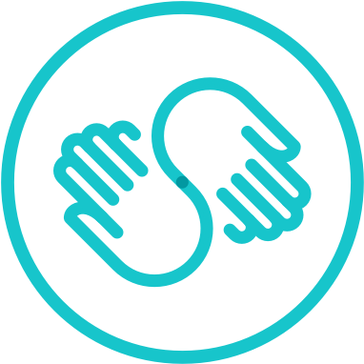 Skillshare is a learning community for creators. Enroll in classes and complete projects that unlock your creativity. "Skillshare will clean out your account : At this point nothing They have no proper system in place for billing but they have fun courses"
TestOut is a certification company offering TestOut Pro Certifications and LabSim, innovative courseware solutions, in information technology. "Will get you to your certifications, A+, Net+, Security+: Almost never is one tool the only tool you can use and may need others. When you start out in TestOut you see videos by real people, you know, just like you and me, practice simulations and fact sheets. Between the three you have a wealth of information to go through, and you can go back to find out what you missed. I was impressed by it. There are review questions, practice exams and so on. I have regular books as well to go through but TestOut on its own would have gotten me to my certification. " 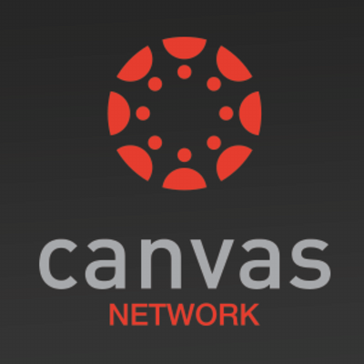 Canvas Network is an index of open online courses from Ivy Leagues to community colleges. Anyone can sign up to take a course for free. "I used Canvas for Everything! : Canvas is a Learning Management System/Software where educators can host their online courses. There are Canvas sites for k-12 and colleges, and there is a free site where educators can host free courses. There really is nothing I can say to complain about Canvas Network. The company does great job keeping the software up-to-date and allowing users a system that involves them in the development of new features for the site. Canvas allows you to do everything from create outcomes and objectives for your course, to setting up assignments and assessments to measure against those goals. Canvas makes grading easy, and again, aligning your grades to your learning objectives is easy. You can create quizzes and assignments right on the site, or upload them from a computer. There is a great communication system set up for teachers and students to discuss assignments grades or anything else. You really have all of the things a teacher would need in the classroom right on the Canvas Network and site." Hi there! Would you like help finding solutions similar to FutureLearn?